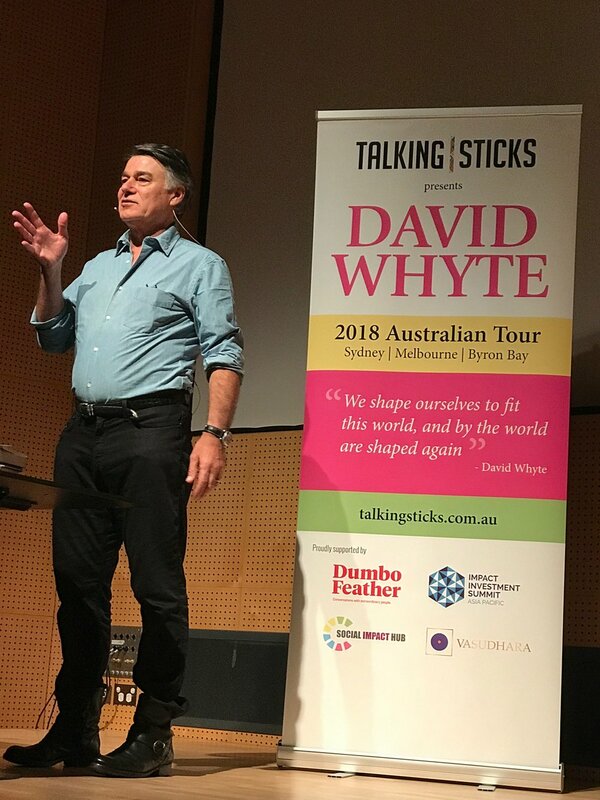 Around 1,500 people delighted in the extraordinary experience of David Whyte on his third Australian tour in November 2018. 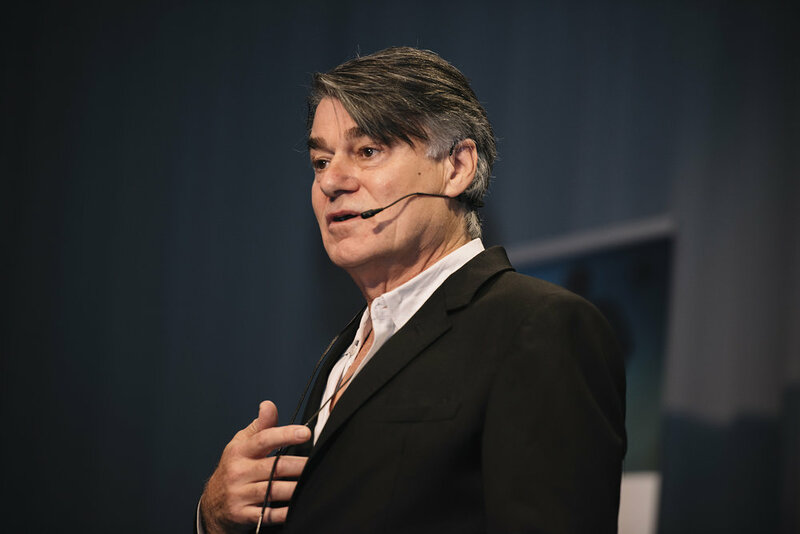 We were so thrilled to bring our friend and internationally acclaimed poet, philosopher, author and pioneer of Conversational Leadership back to Australia. If you missed out on a CD, Book, or would like to give the gift of David’s inimitable wisdom to someone special, take a look through our shop and purchase online. Take the step that makes you half a shade braver in your leadership, or the step that sets your future direction in life. Through our ticketing platform, Humanitix, we were proud to support global charity Room to Read, working towards a world in which all children can pursue a quality education that enables them to reach their full potential and contribute to their communities and the world. 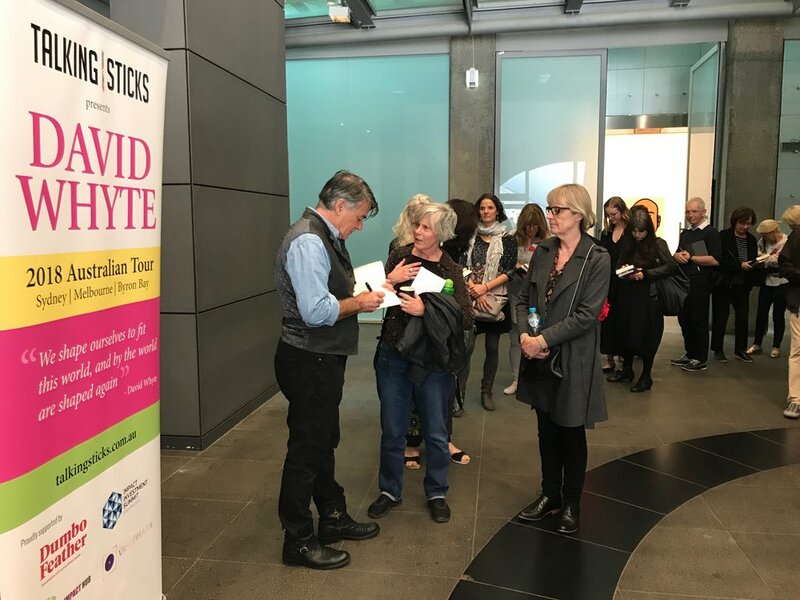 David Whyte is an internationally acclaimed poet, author and philosopher. He David Whyte grew up with a strong, imaginative influence from his Irish mother among the hills and valleys of his father’s Yorkshire. He now makes his home in the Pacific Northwest of the United States. 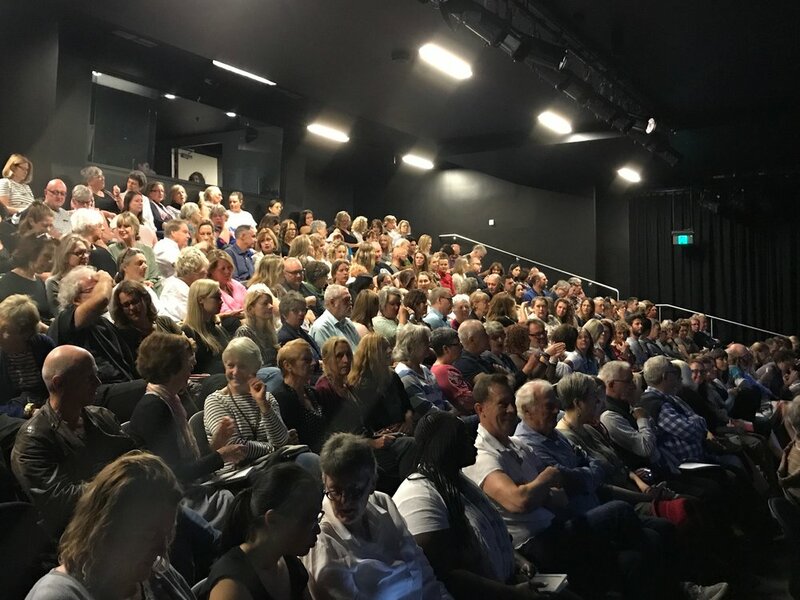 His life as a poet has created a readership and listenership in three normally mutually exclusive areas: the literate world of readings that most poets inhabit, the psychological and theological worlds of philosophical enquiry and the world of vocation, work and organisational leadership. An Associate Fellow at Said Business School at the University of Oxford, he is one of the few poets to take his perspectives on creativity into the field of organisational development, where he works with many European, American and international companies. 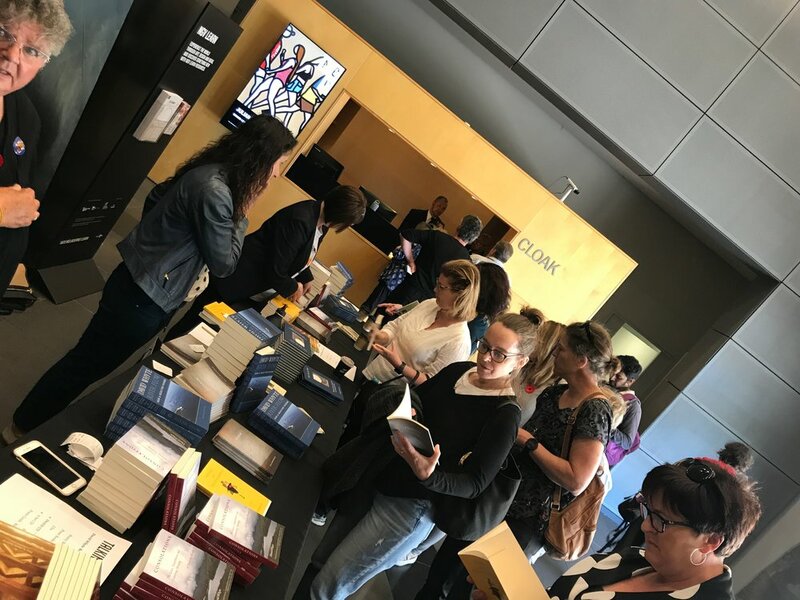 In organisational settings, using poetry and thoughtful commentary, he illustrates how we can foster qualities of courage and engagement; qualities needed if we are to respond to today’s call for increased creativity and adaptability in the workplace. He brings a unique and important contribution to our understanding of the nature of individual and organisational change, particularly through his unique perspectives on his pioneering work - Conversational Leadership.